The Alumni Advisory Committee was established in August 2014. Committee goals are to reach, serve and engage Graded Alumni. We will provide programs and outreach opportunities that foster connections between Graded alumni, students, faculty, staff, and friends. 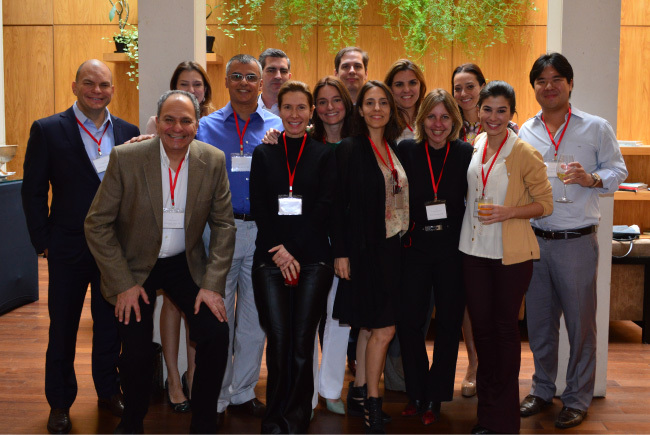 From left to right: Roberto Sallouti '91, Douglas Jafet '75, Andrea Colli Filgueiras '98, Renato Maluli '82, Angel Martinez '88, Daniela Galeazzi '84, Roberta Paes de Almeida '91, Daniel Arippol '92, Carolina Maluhy '93, Thais Mariz de Oliveira '93, Jessica Markus '89, Lorena Pinheiro Lima '91, Renata Abravanel '04, Michael Yung '03. Not pictured: Fernanda Pedreira '03. Vero Incorporadora e Construtora Ltda.